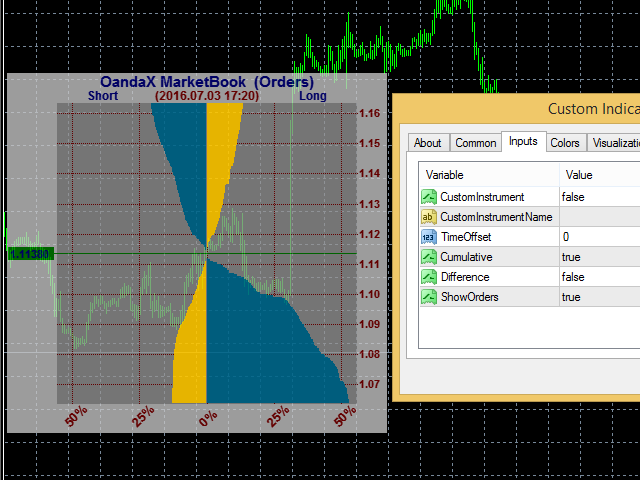 The OandaX product series is designed to display additional data on orders and positions provided by the Oanda FxLabs service. 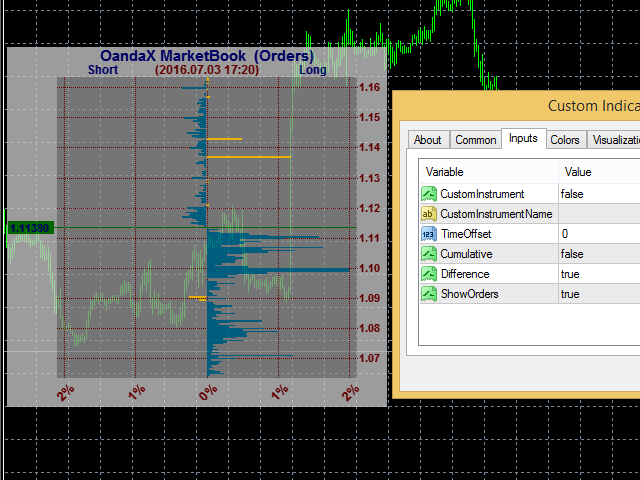 The OandaX OrderBook Image History indicator is designed to display the history histogram of orders or positions on the instrument, nearest to the time specified by user on the chart. For the constant update of data it is necessary for the OandaX Download Manager EA to be running in the terminal. To display the previously downloaded data the EA is not required. OrderBook or Open Orders. 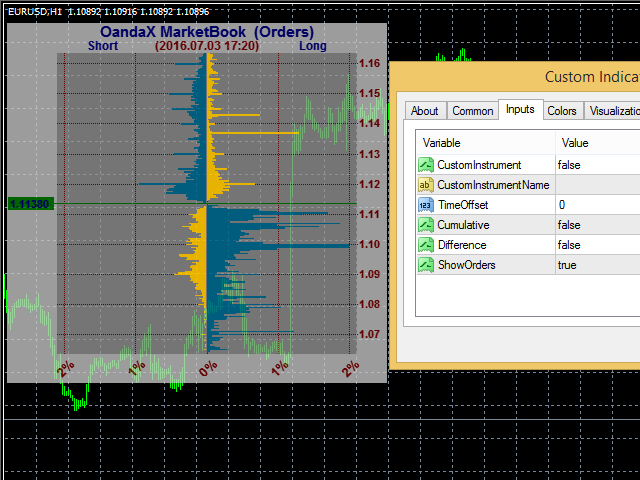 It is a histogram that shows the distribution of limit and stop orders by price levels. The limit orders include the Buy Limit orders and Take Profit levels. 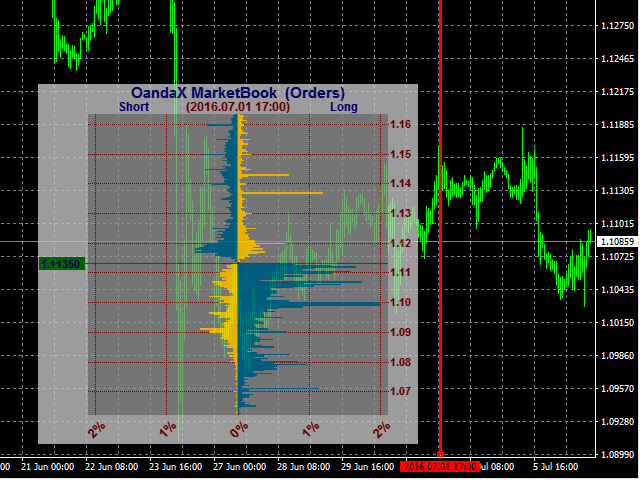 The stop orders include the Sell Limit orders and Stop Loss. The above information is available for 16 instruments: AUDJPY, AUDUSD, EURAUD, EURCHF, EURGBP, EURJPY, EURUSD, GBPCHF, GBPJPY, GBPUSD, NZDUSD, USDCAD, USDCHF, USDJPY, XAUUSD, XAGUSD. mode. The minimum step of history data is 20 minutes, but depending on the history depth the step can increase up to 24 hours, there can also be unexpected gaps. Show Histogram Difference - if True, displays difference horizontal, i.e. displays not buy or sell levels for the horizontal level, but their difference. Also works for the cumulative mode. 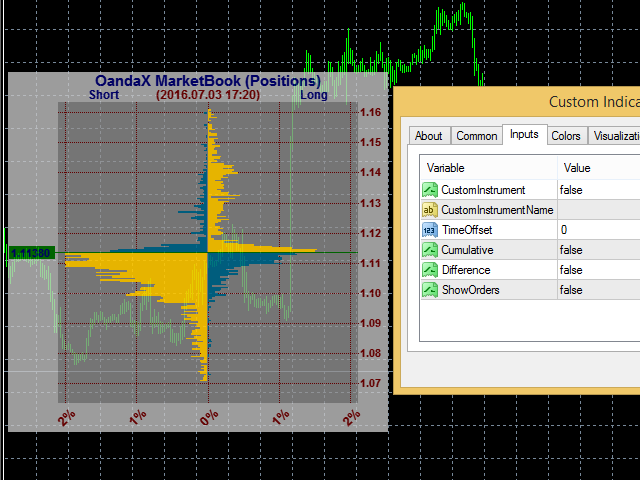 Show Orders (Positions if False) - if True, displays histogram of orders, if False displays histogram of positions, i.e. level distribution of the prices the current positions were opened at. Спасибо за проделанную работу. Знаю это было не просто. Added the automatic calculation of the server time zone offset to the suite. 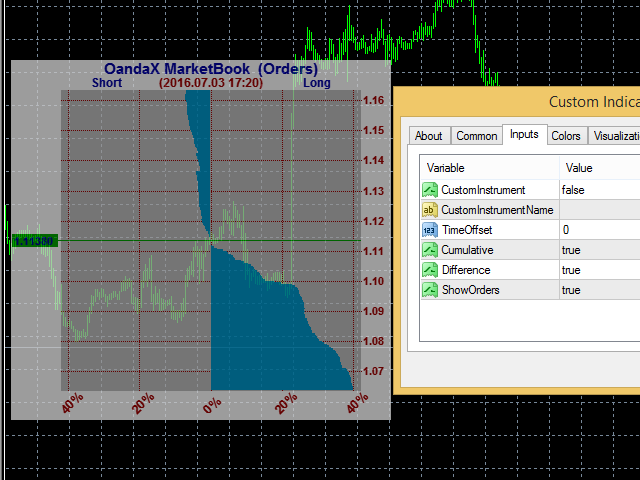 Calculation is performed in the OandaX Download Manager EA when the first tick arrives. Fixed the display of the scales for gold. Added cumulative histogram percentage for quarters. Separated working with history and displaying the current histogram. To do that, introduced the ShowLatest parameter. If its value is True, displays the latest available data.